1. Ham. 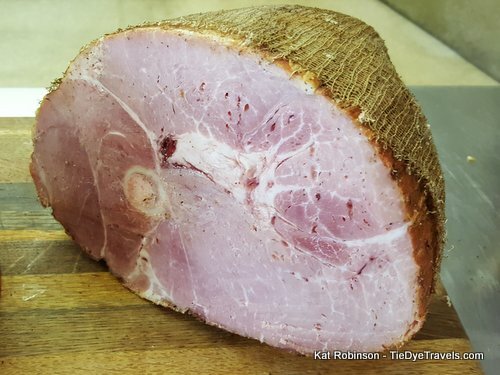 Each year around the holidays, Petit Jean Meats produces, mails and provides in-store 100,000 bone-in hams and 80,000 boneless hams for the dinner table. Grocery stores throughout Arkansas carry those hams, but if you’d prefer the convenience of having your holiday meat delivered straight to the house, place your order this morning it’ll arrive in time — as long as you live in the state of Arkansas. Additional shipping charges may apply. 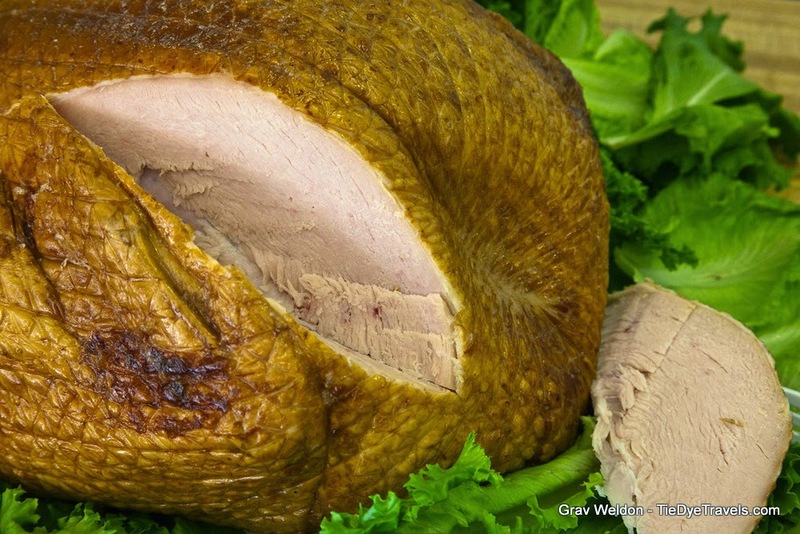 You can also order a double-Arkansas favorite - Coursey's smoked hams. The Courseys take an already splendid Petit Jean ham, rub it well with their own spices and stick it in the smoker for a while (they also do turkeys and smoked sausages). 3. Dressing. Repeat after me - stuffing is Northern, dressing is Southern. Dressing is what you want beside your turkey or ham - with or without gravy. I've bragged before on the chicken dressing from Dan's I-30 Diner in Benton. It's absolutely marvelous and moist, and even if you're having turkey, the chicken in the dressing will be quite excellent. But it's not the only dressing on the block. If you're in the Lower Delta, arrange to get yourself a pan of the famous Squash Dressing from Pickens and Son Commissary south of Dumas. It's crazy good and yet different. Or give eggplant casserole a try as your side. 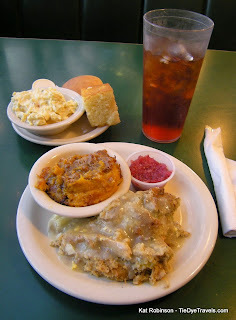 Franke's Cafeteria offers many of its popular menu items in family portions for the holidays, including its famed eggplant casserole and whole pies, such as egg custard, pumpkin and cinnamon. 4. Potatoes au Gratin. Diane's Gourmet in Little Rock offers a variety of amazing side dishes and desserts, including one of the best renditions of potatoes au gratin around. You'll also find broccoli cheese casserole, mac and cheese, cheese crackers and baked pies available there. 5. Divine Mac and Cheese comes from Capers, which has an extensive order form from its Market at Capers store. This is also where you can get your Cranberry Jezebel sauce. 6. Green Beans. I cannot stand green bean casserole. Fortunately, my brother usually eats ALL of it over the course of the afternoon, so no worries there. Plain green beans are all right, but if you're looking for something to pick up that will be light, delicious and particularly wonderful, check with the folks at Catering To You for some of their marvelous Green Bean Almondine. 7. Sweet Potato Casserole. Okay, most everyone should know how to make sweet potatoes by now, but if you're really in a pinch, go get a pan. Terry's Finer Foods does an excellent rendition. 8. Bread. My mom makes crockpot cornbread stuffing for the holidays from her own fresh-baked cornbread, usually from War Eagle Mill Cornmeal Mix. 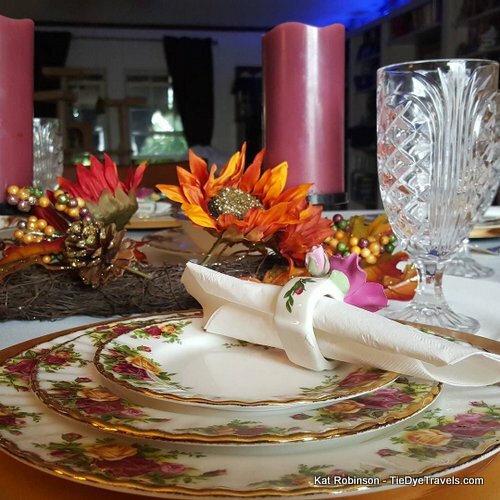 But butterflake rolls from Ed's Custom Bakery are also usually on the table. Other choices that would achieve the epic rating for your dinner table: Boulevard Bread Company's Pagnotta (GREAT for sopping up a little giblet gravy), Community Bakery's Pocketbook Rolls. 9. Pies. 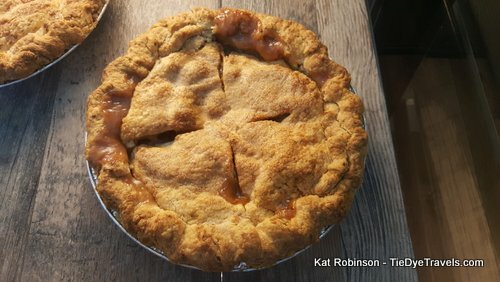 With the demise of Chip's Barbecue, this year my sights are on Honey Pies, the new pie shop on Little Rock's Bowman Road. Six different varieties of Thanksgiving pies are available, including Pumpkin Meringue and Sweet Potato Meringue. And you can purchase the pre-made Honey Pies dough (rolled or unrolled) to make your own at home. Want to make your own fabulous Thanksgiving dinner from scratch? 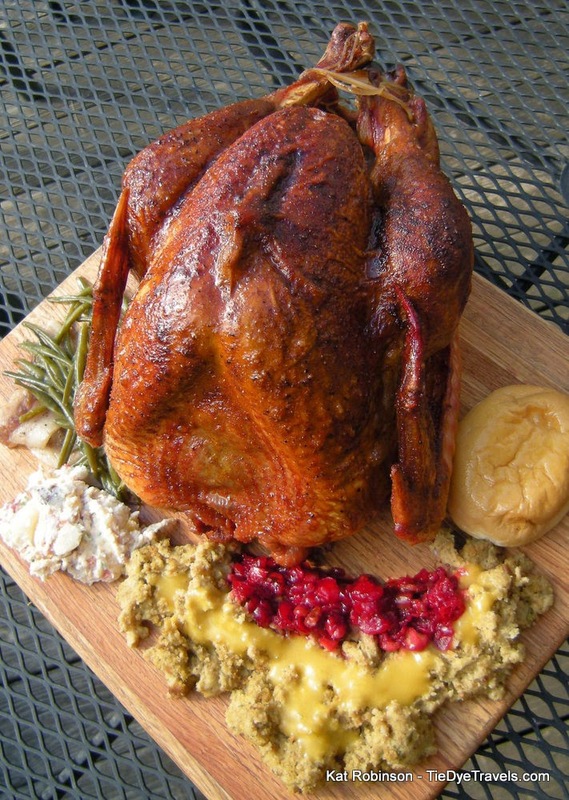 Check out these Arkansas Thanksgiving recipes. Elated to know about the thanksgiving dinner. My friend will always be fan of event space and their amazing staff services. Enjoyed many dinners and luncheons with her and colleagues as well. Many of our known visit and book these for occasions on our recommendations.